Fran Boyer is a registered psychologist with a Master of Clinical Psychology degree. She is warm and engaging and values creating an authentic and safe therapeutic relationship in which problematic issues can be addressed. Fran has experience working with adults and adolescents who present with a wide variety of mental health concerns including depression, anxiety, self-esteem issues, social and peer difficulties, trauma and psychosis. and lasting positive change. Mirna uses Intensive Short-Term Dynamic Psychotherapy (ISTDP) to help individuals experiencing depression, anxiety, relationship difficulties, difficulties with self-sabotaging or self-harming behaviours, trauma, unresolved grief and self-esteem issues. Albert is a clinical psychologist and a member of the Australian Psychological Society. He is a committed to practising evidence-based therapies and aims to create a respectful and safe setting for therapy to take place. Albert has a particular interest in depression, anxiety, addictions, personality disorders, psychosis and men’s issues. Lena is a clinical psychologist who has over 20 years of clinical experience in working with adults and young people. She applies an integrative approach to psychotherapy with her work primarily informed by psycho-dynamic psychotherapy, intensive short term dynamic psychotherapy, cognitive behavioural therapy (including mindfulness) and existential psychotherapy. Areas of interest include depression, anxiety, grief, trauma and relationships. 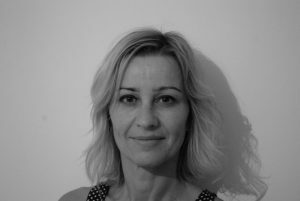 Lena also has extensive experience in working with Greek speaking patients.